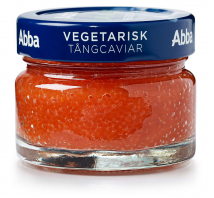 Red lumpfish caviar is one of Swedish favorites. Bright red balls give a fresh saltiness to everything, starting from sandwich cake to caviar filled eggs. Catch: lumpfish (Cyclopterus lumpus) roe – near Iceland.